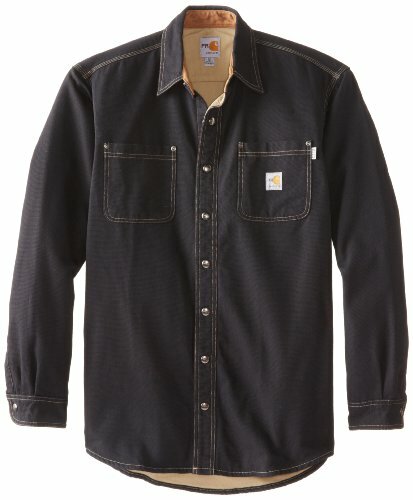 Carhartt's easiest-wearing, hardest-working 8.5-ounce, fr canvas shirt jac features 88-percent cotton/12-percent high-tenacity nylon and a twill lining. You’ll find antique-finish brass snaps, two chest pockets with rivet reinforcements for durability, and adjustable two-snap cuffs with extended plackets. Carhartt fr and hrc 3 labels are sewn on the left pocket. It meets the performance requirements of nfpa 70e standards and is ul classified to nfpa 2112.